Hello again, runDisney fans! 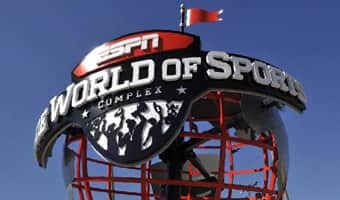 I want to complete a series of posts I've been writing about the magic of the ESPN Wide World of Sports Complex by highlighting one of the many open registrations available for your young athlete to participate in: Disney Soccer Academy. 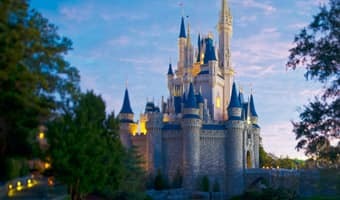 Disney Soccer Academy is a four-day event held each summer that goes beyond your basic soccer camp. Designed to build your child's soccer skills, regardless of their level of play, they'll be immersed in a whole new world of unique activities, drills and friendly competition while being led by an all-star international staff of coaches. Having had my own children participate in several Disney Soccer Academy sessions, I can attest to the excitement and fun these athletes have. Registration begins at 8 a.m. with staff waiting to greet you near the front entrance to the ESPN Wide World of Sports Complex. Be prepared to provide your child's waiver and your photo ID as they work quickly to get you checked in and get your child their credentials, official T-shirt and various goodies. Parents are encouraged to walk down to the Hess Sports Fields with their children on opening day to ask questions and meet with staff. Parents are also allowed to stay and observe as long as they'd like. At the conclusion of each day, you will need to walk down to the designated location to sign-out and retrieve your child. Safety of your children is a priority for the entire staff at the Complex. Skills are put to the test with fun activities like the Puma Kick Challenge, where players get to test their kicking speed for a chance to win a pair of Puma cleats. More drills and technique work take place as staff members begin to join groups together into teams for the end-of-camp World Cup to take place on closing day. During the World Cup and closing ceremony, teams are identified by countries as a tournament, set up just like the World Cup series, puts their skills to the test and allows the entire camp to come together to play each other and cheer each other on. And you can't close out a Disney Soccer Academy World Cup without Soccer Mickey himself showing up for those precious on-field photos with your little strikers. Next, it's off to the closing ceremony for recognition awards, GameDay photo viewing, autographs and another opportunity to meet-and-greet with the big cheese. Your child's credentials will come in the form of a plastic card similar to a theme park ticket. Take a photo of the back with your camera or smart phone. In the event their credential is lost, a new one may be issued. No need to worry about packing your child's lunch. 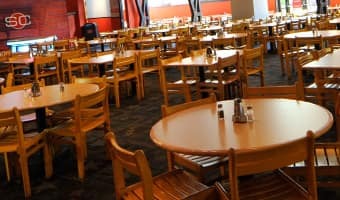 Healthy boxed lunches are provided to each participant by the ESPN Wide World of Sports Complex Dining Services. Need an aftercare option? Disney Soccer Academy provides a two-hour aftercare service on camp days for an additional fee. I've utilized the aftercare option many times and my children always enjoy it. Parents and runners, take advantage of all that is happening at the Complex by touring the facility, dining in the ESPN Sports Grill, or shopping in the ESPN Clubhouse for all your merchandise needs. You can even have a custom tee made to commemorate your child's experience by visiting the Custom Tee Center by Champion®. Whether you're visiting the ESPN Wide World of Sports Complex for an athletic event or a runDisney Health & Fitness Expo, you'll find there is a lot to see and do. It's the theme park of the sports world! Interested in getting your player involved? Registration information and camp details for the 5th anniversary 2015 Disney Soccer Academy summer sessions are already available. After all, it's never too early to begin planning your ESPN Wide World of Sports summer vacation! Faith is the runDisney specialist on the Disney Parks Moms Panel, here to answer your questions and to help you plan your runcation!